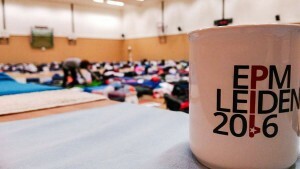 Did you miss the European Planning Meeting this year? 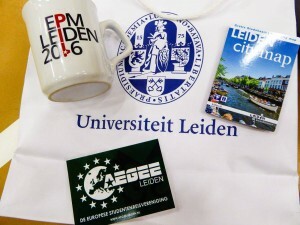 It was organised by AEGEE-Leiden and took place between the 25th and 29th of February. Thanks to their amazing work and team coordination, they managed to organise a great European Planning Meeting. Not suprisingly, AEGEE-Leiden was voted Local of the Month for February for this great accomplishment. So, we had a talk with Boudewijn Steenhof, Main Organiser, and also Casper Renting, Vice Main Organiser of the event to tell us a few details about the challenges the team encountered and the antenna’s future plans. The AEGEEan: First of all, congratulations for being voted Local of the Month for February! What are your future plans in AEGEE? Casper: Thanks on behalf of everyone from -Leiden! I’m sure that all these active and intelligent members will continue to do great things for our local and the Network. 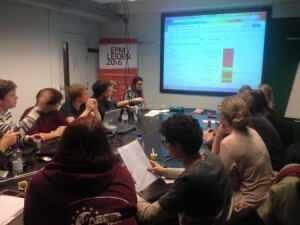 For example, I’ve heard things about a NWM next year… Personally, the EPM feels like a transition from Leiden to Europe. I recently joined the LIG & HRC and started as SubCom for Loes. What was your overall impression as a hosting local of the EPM? Boudewijn: Apart from it being very tiring, it was amazing. To see all these participants enjoying all we have worked for in the last year was simply great. I think I can speak for everyone when I say that we have learnt a lot from organising the EPM about ourselves, each other, and AEGEE! A hosting local receives a lot of attention during this time, which can be overwhelming. But I think we dealt with it well, and everyone knows AEGEE-Leiden for whole different reasons now! Casper: Oh, so many things! No seriously, we are really proud on what we have accomplished, but we also see room for improvement. Happily these were things mostly invisible for participants. For example, we lost quite a lot of stuff during the event. Apparently it’s not that hard to lose a big professional trolley, or 40 forks. There were also quite a few participants who thought the food was a bit too ‘Dutch’, meaning, too many sandwiches. But I don’t think this is something we would have done differently, as trying different cuisines is part of exploring other cultures. Do you plan to also organise an Agora at one point? Casper: We already did! In 1987 (EGEE-III) and 2010 to be exact. But also if we hadn’t, I don’t think we would soon organise the Agora. It’s not like the EPM is a stepping stone to the bigger and maybe more prestigious Agora. Actually, it’s better to do something smaller really well, than something big so so, and because the city of Leiden arguably doesn’t have the facilities to host an event with this scale, I don’t think we should consider it. This is the sad reality I know other antenna deal with as well. They are very capable and would do great, but their city lacks the facilities. 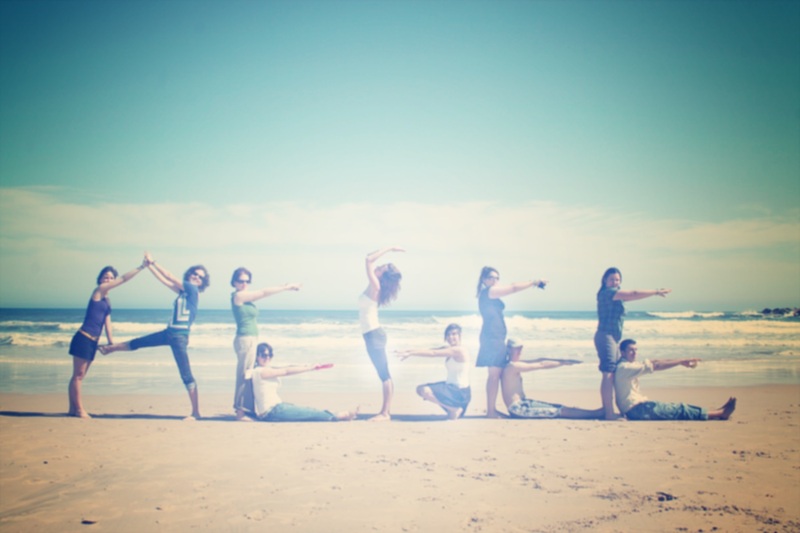 What do you think was the biggest challenge in organising the EPM? Boudewijn: Definitely the logistics. Having the right locations, with the right stuff and the right people all come together to form a well-working machine has been a great challenge. Casper: I’d add to that satisfying everyone’s needs. Obviously participants are very diverse in their preferences, but also in our team we had different ideas of what “EPM Leiden 2016” should be like. Combined with requests from the Content Team, Chair Team and Comité Directeur, all within our limited financial and logistical possiblities, this created a complex but interesting challenge. After this experience, what piece of advice would you give to a local who has just decided to host an EPM? Casper: Don’t ‘just decide’ it, haha. Make sure you have full support from your university and municipality, as you will very likely need them. Related to that, money is everything. Don’t even consider applying if you’re not sure you can get your funding sorted out. Lastly, you’re not going to organise it yourself. Make sure your whole antenna (especially if you’re small) supports the idea and is willing to put time and effort in it, and be aware that your local activities and plans will suffer. I’d say these are the three most important checks you should do before you can decide to host an event on this size. What did you think of the theme (the refugees’crisis) for this EPM? Casper: I think it’s a very important and relevant topic that deserves attention in the Network. From an organiser’s perspective, it was way easier to ‘sell’ an event with this topic to financial partners and media, than an EPM without a specific topic would have been. Combined, I’m proud we could facilitate a discussion about this topic. Unfortunately, I didn’t have the time to actually participate. The AEGEEan: Thank you for your time!